In brief, there are 3 Gin categories; the lowest quality is Compound Gin, which has minimum abv of 37.5% and is simply alcohol with Juniper (and other) flavouring added, the next standard is Distilled Gin where the botanicals are steeped in neutral alcohol and then a secondary distillation takes place, but colour, flavourings and sugar can all be added post distillation. Finally is London Dry Gin, where the botanicals are steeped in neutral alcohol, secondary distillation takes place, juniper is the dominant flavour and nothing other than water can be added post distillation. However, despite the ‘London’ moniker’ this type of gin can be made anywhere as long as it complies with the production rules. So, even though London Dry Gin status does not require a Gin to be made in London, there is something rather pleasing about a London Dry Gin that is. Welcome to SW4 London Dry Gin – made in Clapham. 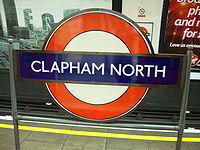 Get off the tube at Clapham North, cross the road and look for Timber Mill Way. Suddenly you are off the beaten track and are heading down an unkempt lane leading to an industrial heartland, well nearly…. To begin at the beginning of making Gin we must first look at the base alcohol. The neutral alcohol used in Gin production is to my mind, the least interesting factor. While it’s essential to ensure it’s of a sufficiently high quality we would not expect it to impart anything significant to the final product – hence why it’s called “neutral”. Neutral alcohols can be made from various ingredients; neutral grain spirit; neutral grape spirit; neutral beet spirit and molasses is also common. It’s neutral because it’s been distilled to a sufficiently high abv to remove any significant flavour compounds. Back in the mid nineteenth century a tradition arose whereby London Gin producers had to purchase their neutral spirit from somewhere other than where they made their Gin. This tradition was largely to do with customs not trusting the London producers to ‘declare’ all the alcohol produced and wanted to control (and therefore tax) the flow of alcohol coming into London. Good news for Scotland and the treasury! This tradition no longer holds with both Adnams and Chase producing their own neutral spirit on-site. However, it remains that the production of neutral spirit is largely conducted on an industrial scale and most Gin producers see no sense in starting their own production now. SW4 London Dry Gin is made from a UK produced, 86% abv, neutral grain spirit where all the grain (predominantly wheat with some barley) is also grown in the UK. It’s a nice touch to ensure a UK grown and produced grain spirit which is, just to reiterate, “neutral” because it’s been multi-distilled to reach an abv of 86%. Right, on to the interesting stuff! Now that we have our neutral grain spirit we need our botanical bill. SW4 uses 12 different botanicals, the recipe of which was put together by Charles Maxwell (Master Distiller at Thames) and Martin Price (SW4 Brand Owner). 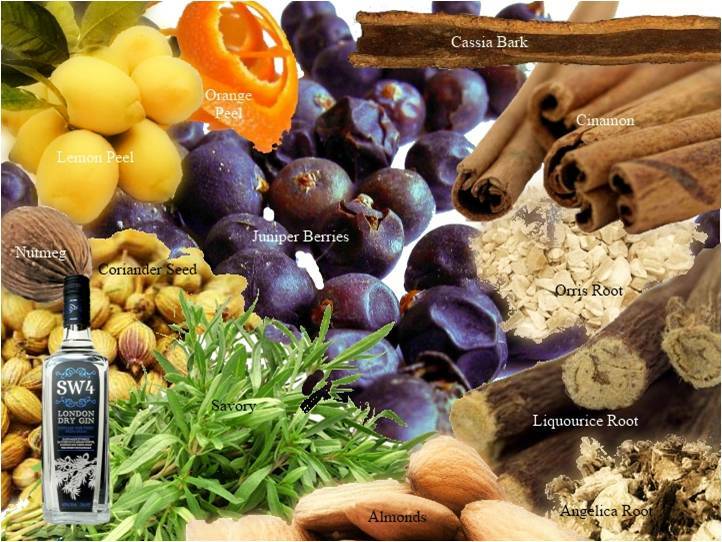 Now any Gin producer on the whole, will tell you what their botanicals are, what they won’t tell you is the ratio used – this is the “secret” part of every Gin recipe. The remit for SW4 was a “traditional style” that works really well in a Gin and Tonic. NB: It does seem bizarre to have to say that by a “traditional style” we mean juniper dominant, I’m sure most of us would take that that as read. These days however, there are quite a few distilled Gins that are not juniper dominant, designed specifically to “open up” the Gin market. While we have to accept these commercial innovations are helping to revitalise a shrinking category it is a cause concern that now even some London Dry Gin’s seem to be slipping through the “juniper” net…. Just as a Master Blender pulls different barrels together to get the desired end result, so a Master Gin Distiller pulls together just the right amount of each botanical to get the exact flavour profile desired. It’s not just the separate flavour profile of each botanical that counts with Gin though, it’s also the way they marry together when being steeped. All the botanicals in SW4 are dried when they go into the neutral grain spirit (some brands are now using fresh) and are steeped between 12 and 15 hours. I did ask Charles if the flavour profile would improve with a longer maceration time and he assured me that much longer would lead to ‘over extraction’, something I hadn’t considered before. Meet “Tom Thumb”, Gin Still #1 at Thames Distillers which is used to distill SW4. Gin Still #2 is called “Thumbelina” and is on hand just in case anything goes wrong with Tom Thumb, which hasn’t happened yet. Tom Thumb is a small batch, (500 litre capacity, the largest is 12,000 litres) stainless steel still made by John Dore. Interestingly, John Dore is the oldest distillery engineering business in the world. The company’s roots go all the way back to Aeneas Coffey, famous for patenting the first column still in 1831. So there you have it, SW4 Small Batch, London Dry Gin made and bottled in Clapham. Next time you’re in the area and wondering where you might purchase some SW4 try Oddbins on Clapham High Street.